Paving Quotes provides competitive paving quotations for both domestic and commercial customers, from authorised paving installers in your local area. Paving Quotes provides competitive paving prices for block paving, tarmac, pattern imprinted concrete, natural stone paving, resin & aggregate paving and stone mastic asphalt. Paving Quotes operates across the UK and we can offer you the widest choice of paving products as well as the best paving quotes for your home or business. 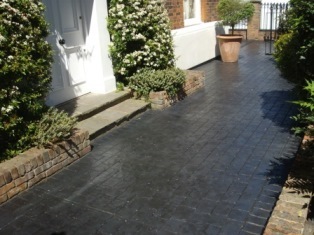 Tarmacadam is widely used for driveways and footpaths around the UK and although everyone is familiar with the appearance of black tarmac, with a little imagination tarmac can form the basis of an attractive yet functional driveway for your home. With coloured tarmac, block paving borders and soft landscaping features, your driveway doesn’t have to look like a car park. 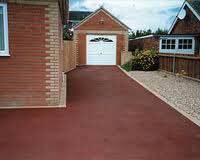 Coloured tarmac is available in a wide range of finishes including green, red, buff and brown and when used with a block paving border or feature inlay will provide an attractive driveway for the front of your home. 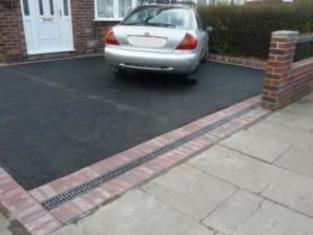 Permeable tarmac is also available and is an ideal solution for large driveways where water run-off could cause potential localised flooding problems. Block paving is probably the most popular paving product for use on domestic driveways, footpaths and patio areas in the UK. 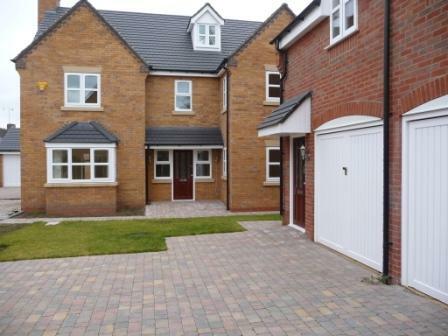 And it’s not surprising given the wide choice of shapes, sizes, colours and textures which block paving is available in. 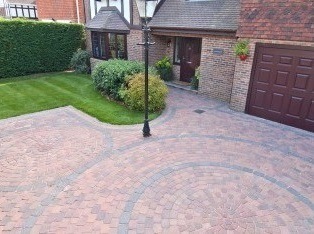 Block paving can be laid in basket weave, herringbone or stretcher bond patterns to suit your home. 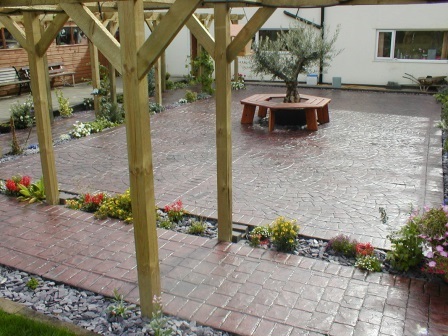 Permeable block paving is also available which allows surface rainwater to soak through to the ground below, rather than causing potential problems of localised flooding during heavy rain when drainage systems may struggle to cope. The ground works and sub-base for permeable block paving need to constructed differently from ordinary paving in order to allow surface water to pass through. Pattern Imprinted Concrete attempts to replicate the appearance of natural paving products such as granite, limestone, sandstone, brick, cobbles, slate or even timber boards. Reinforced concrete is laid on a compacted stone sub-base and it is then coloured and imprinted with printing mats to create the required pattern. The surface of the pattern imprinted concrete is then sealed to protect it from damage due to wear and tear caused by car tyres travelling over it. The major advantage of pattern imprinted concrete is that it forms a solid surface for your driveway or patio which will not sink or allow weed growth through like block paving, flag stones and natural paving can. Pattern imprinted concrete can also be installed in commercial environments and has been widely used in pedestrian areas, shopping centres and around fast food outlets. Resin and aggregate driveways and patio areas are growing in popularity due to the wide choice of coloured finishes available and the fact that homeowners are always looking for something different from the standard block paving, tarmac and pattern imprinted concrete paving options. As the name suggests, resin and aggregate paving consists of natural aggregates being bonded to the surface of a driveway using a strong adhesive resin. Your existing concrete or tarmac driveway surface must be in good condition with no pot holes or serious cracks, otherwise they may show through the thin layer of bonded aggregates. 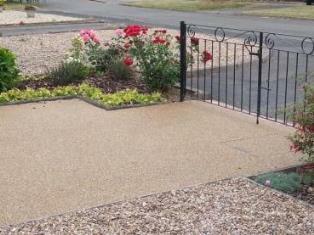 Resin and aggregate driveways cannot be installed over block paving, flag stones or on natural paving; all of which have joints between the individual paving blocks. Expensive heavy machinery is required to lay and roll SMA to the required density for it to provide a durable surface and only specialist SMA installation companies tend to have access to such machinery. Stone mastic asphalt, or SMA as it is most often referred to, is a heavy duty paving product which is formed and installed in a similar way to tarmac. 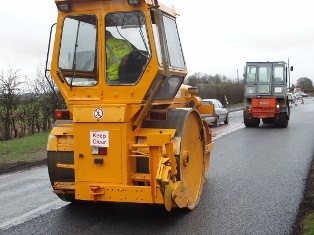 SMA has a much greater amount of hard stone aggregate than tarmac to create a more durable surface and it is always machine laid and machine rolled. SMA is suitable for paving surfaces which are intended to have heavy traffic usage such as roads, car parks and around industrial estates. Stone Mastic asphalt is generally laid in much thicker layers than tarmac so that it can cope with heavy trucks making tight turning circles. 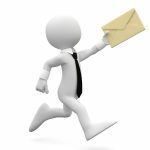 By completing our online form today you can get competitive natural stone paving quotes for your driveway or patio from local natural stone paving experts in your area. 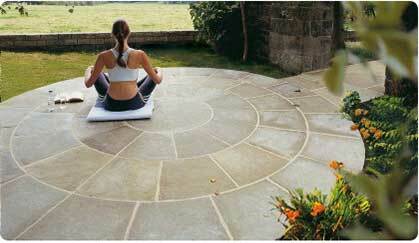 Natural stone paving is one of the most attractive types of paving available but it is also one of the most expensive. Laying natural stone paving requires a combination of expertise and experience to produce the type of paving surface that this superb range of products demands. Whether you choose natural slate, granite cobbles or setts, or polished limestone or sandstone paving, you will need an expert in laying natural stone paving to ensure that the finished job is perfect. Getting the sub-base for natural stone paving exactly right is just as important as laying the finished product and attention to detail is paramount. Often, natural stone paving comes in fairly random sizes and it takes experience and an artist’s eye to create a driveway or patio to the exacting standards that natural stone requires. 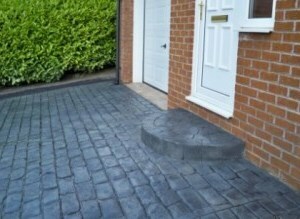 Because most garden paving and patio paving areas tend to be for pedestrian use only, you don’t need an expensive, deep sub-base to support the paving. Also, with products such as tarmac and pattern imprinted concrete, the final layer of paving doesn’t need to be as thick as it does for a driveway. 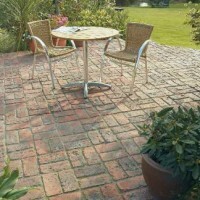 Paving products which would be unsuitable for a driveway may be entirely suitable for your garden or patio area, so your choice of products is widened. For example, natural stone paving is an ideal product for gardens and patios, but you wouldn’t necessarily want to spoil it by driving your car over it. 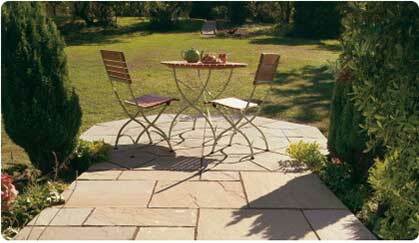 Stamped concrete is the American term for pattern imprinted concrete. Pattern imprinted concrete originated in the United States and stamped concrete refers to the method of creating a natural stone pattern in the surface of moist concrete. In order to create a natural stone pattern, with textured joints, printing mats are laid on the concrete and installers stamp on them to press the mats into the surface of the concrete. For this reason, pattern imprinted concrete is also known as pressed concrete. 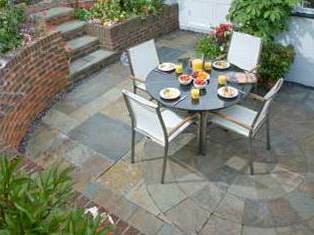 Whichever type of paving you have on your driveway or patio, use and the passage of time will eventually take its toll. Block paving, pattern imprinted concrete and tarmac surfaces can all be cleaned, refurbished and rejuvenated, not only to improve their appearance but also to lengthen the life of your paving. However, in all cases, before new sealant can be applied to any driveway surface, it must be thoroughly cleaned and any areas in need of repair, attended to. 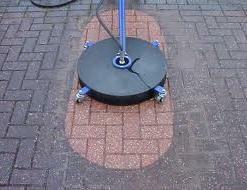 Block paving can be cleaned with specialist machinery and resealed with urethane sealant. 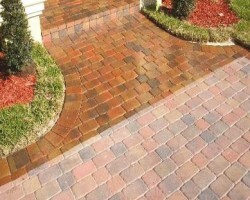 This will enhance the colour of the blocks and protect the surface by repelling oil and reducing staining. After three to five years of use, pattern imprinted concrete driveways need to be cleaned and resealed because the original sealant will have almost certainly started to wear away. The now hardened sealant, applied when the driveway was originally installed, forms a sacrificial layer to protect the concrete and if this wears away the concrete surface is in danger of being damaged. 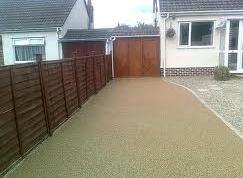 Even a tarmac driveway can be refurbished as long as it has not developed any major cracks and pot holes. Tarmac paint or tarmac restorer is applied to the surface to bring it back almost to the appearance it had when originally laid. 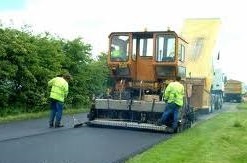 Tarmac restorer also protects the tarmac surface from the sun’s ultra violet light which tends to dry out tarmacadam.